Pregnancy comes with aches and pains, new body shape, new clothes and…new shoes. Why new shoes? First, because it’s a great excuse to add those new ballet flats to your closet. Second, your feet may grow, flatten, or you may need a larger size for width. Third, even if your feet do not grow (not all pregnant women’s feet change), you will want new shoes to improve comfort and support during your pregnant life. Here is the scoop on the shoes that will make pregnancy easier even when you can balance a full glass of water on your belly or when you have no idea if your socks match because you cannot see your feet. We did the research, you get all the comfort. Can I wear heels during my pregnancy? Can’t I just wear all the shoes I own during pregnancy? Can I wear strappy shoes during pregnancy? If my feet grow can I just get some cheap shoes in a bigger size? 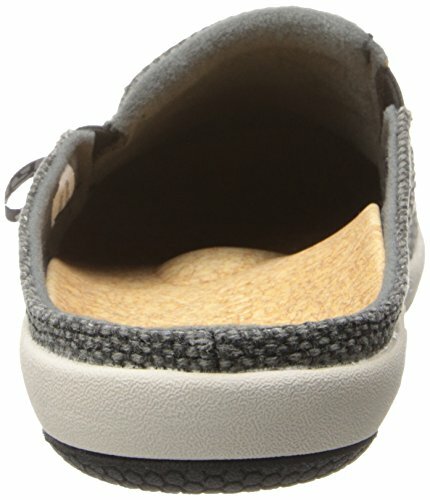 Should I buy bigger shoes as soon as I know I am pregnant? Can I still wear sneakers for exercise? 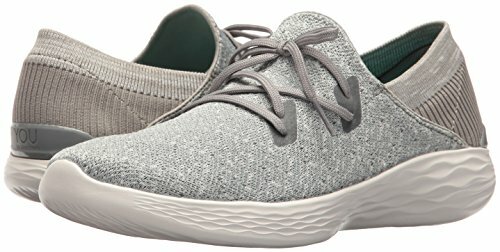 Skechers Women’s You 14964 Sneaker is a sneaker that feels like a sock, moves like a ball and offers full traction is the perfect shoe for someone walking for two. The upper allows full breathability to avoid smelly feet you cannot reach. Price: For comfy feet, this price is under a hundred and well worth the price. Traction: The outsole comes with multi-directional traction means that no matter what way you move you will be comfortable. Comfort: The top is made of soft mesh fabric with a sock-like knit fabric. Shoe’s that feel like socks? Yes, Please! Appearance: Neutral colors with a bit of pizzazz are perfect to match all your casual outfits. Ease: Despite the appearance of shoelaces, these are slip-on shoes. Stick your feet in and wiggle around to get the heel straight. Air Flow: The knit fabric breathes so you do not have to worry about smelly feet, which is great since most pregnant women have super noses and can smell plenty of other feet. Support: Sadly, this otherwise perfect shoe doesn’t offer a lot of arch support but a couple of inserts can fix this little problem. Size: You may have to order a half size up from your normal size normally and maybe a size up for pregnancy. Ugg Womens Milana Loafer Flats are the from the brand you know and love for boots but with spectacular shoes to keep your feet happy while carrying your precious bundle. These cute shoes come in multiple colors and can dress up or dress down. Price: The price is decent especially for the brand! Comfort: Leather shoes may take a little breaking in but the rubber soles and soft foam footbed will keep you relaxed and ready to rock. Appearance: Who does not love a cute pair of loafers? Pair these simple sleek shoes with jeans or to work in a suit. Support: Three layers of foam, rubber, and leather, your feet will be so supported they may become spoiled. Size: These Uggs run small and narrow. By a size up and hope for the best. Air Flow: Leather does not breathe super well but they did offer some perforation on top to try and help keep feet dry. Traction: There is traction but only in two spots, do not go hiking in these loafers. Vionic Women’s Tide Li sandals are mid-priced and come in a variety of boring and festive colors to meet any of your wardrobe options. This adorable and uncomplicated sandal will cradle your foot for long walks on the beach or a trip to the mall. Comfort: Your new favorite sandals are proven to alleviate heal pain because of Orthaheel Technology meant for people with plantar fasciitis. Bonus, they are lightweight, flexible, and absorb shock, and trust me you will want to alleviate all the extra weight you are carrying from your feet! Appearance: Uncomplicated and ready for fun, these thong sandals are stylish enough for an outing but simple enough for walking the dog. Support: Made of leather, neoprene, and rubber will support your stressed out soles shaped to cradle your heels and ankles. Price: These shoes will not break the bank but could be less expensive. Quality: Vionic’s sandal’s my only last the length of your pregnancy. Vionic’s Women’s Spark Minna Ballet Flats will take you to work, out on the town, and keep your toes wiggling happily all the way home. Wrapped in leather these shoes will contour to your unique shape and pamper your feet. Comfort: Wrapping your foot in leather with elastic around the top to keep them in place is the best way to ensure stay-ability and all-day comfort. Great for mom-to-be’s with plantar fasciitis too. Appearance: Matte sides and shiny tips, these adorable shoes will add style to any outfit and without heels! Support: Built-in arch support and rubber soles will keep your feet relaxed for hours. Size: Buy your size or a size up if your feet gained a size, but normally these flats fit true to size. Traction: Vionics on these flats are great for walking around the mall and work. Price: Thankfully the shoes will not hurt your feet as the price probably will. The price varies by color and size so you might get lucky. 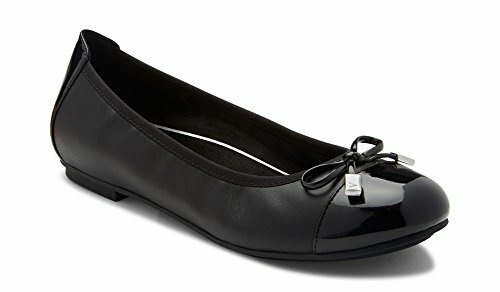 Quality: These ballet flats are wildly comfortable but have not proved to be super durable. Maybe avoid going into the woods with them. 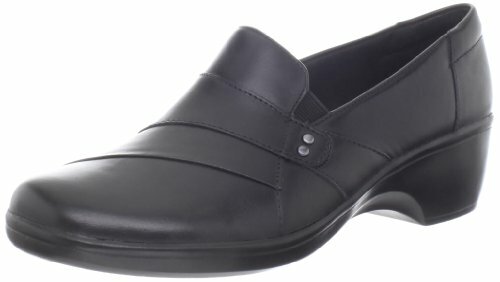 Clarks Women’s May Marigold Loafers are adorable and just right for work with a little lift from a wide heel. Trust me these are not your granny’s dress shoes, but they will keep you comfortable like your granny’s orthopedic shoes. Price: With quality comes with a price but this price is well worth it and not too high. Comfort: Made of leather with tons of cushion and ortholite footbed, your feet will thank you during long hours on the job as you receive compliments from co-workers. Appearance: With some well-placed pleats and a beautiful glossy finish, you will love pairing these elegant wedges with pants or a dress. Choose from black, dark gray, or brown. Support: Clarks is code for comfort and support and these wide low heels will not let you down with arch support either! Size: The fit is true to size in they classy shoes. Traction: The traction is not going to keep you upright on a rainy day but who wears leather in the rain anyway? Quality: The heel may wear out before you are cradling a baby in your arms and they may scuff easily. Spenco’s Women’s Siesta Slide Mules may look like an old man shoe but in all the best ways, like when you steal your man’s shirt. These neutral shoes will slide on to your feet and into your heart as they ease the discomfort your feet experience during pregnancy. Price: This neutral shoe’s price depends on your size and the color you pick but should leave plenty of room in the budget for all the items you need for your new baby. Comfort: Spenco shaped these slide on mules for ladies with metatarsal issues so the top of the foot could be comfortable and off the ground. The rest of your foot will be cushioned as well with deep heeling cushions. Appearance: Weathered canvas and vibrant colors give this mule a pleasant appearance to keep your casual days festive and cozy. Support: With all the support for the tops, bottoms, and arches of your feet these shoes will support you no matter where you go. The inside is made of cork for shock absorption. The dream is here ladies! Air Flow: The fabric outer shell will allow your feet to breathe as will the big opening in the back! Size: No half sizes, but otherwise true to size. Sole: The soles are not for everyone and may not be as plush as desired. 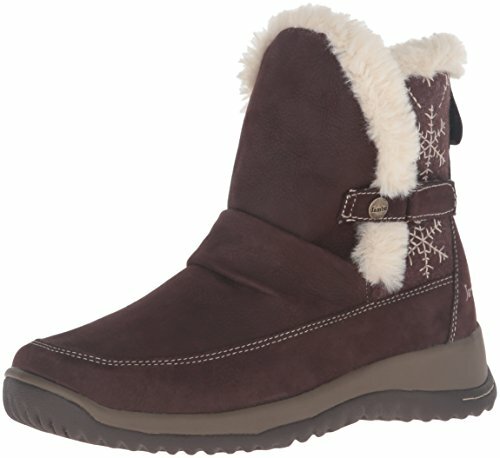 Jambu’s Women’s Sycamore Boots are not only stylish but the epitome of comfort and warmth for winter. For those mamas-to-be in the colder states, these boots will become your new best friends. Price: The price depends on size and color but can be quite affordable. Comfort: A light platform will keep your sensitive feet away from the cold ground and soft fabric and faux fur coupled with memory foam will cushion your foot even in a blizzard. Appearance: You will be the envy of all your friends with the stylish pull-on boots with beautiful seams and size adjusters. Pick from six neutral colors. Support: Memory foam and rubber soles for traction plus on these short boots will provide plenty of support for long winter days. Size: The company recommends ordering a size up which is the norm for boots especially if you want to wear socks. Arch: Ladies with high arches may want to find a different pair of boots. Ice: Use these pretty boots for walking but avoid for ice, of course, ice usually requires chains. Since flats are the best choice for pregnancy, Hot Chocolate Pandora Mary Jane Flats will add some party to your day with a ton of creative and even vintage designs to show your imaginative side. The wide toe area and straps will keep your shoes from slipping and sliding with personality! 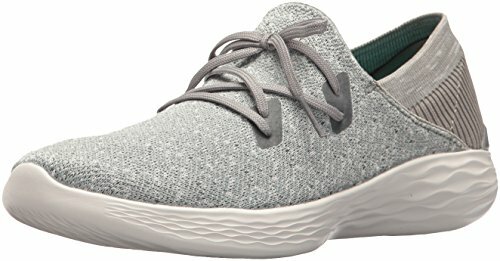 Price: Who knew such unique shoes could come so affordably? Appearance: First, these shoes show up in a milk carton, how adorable is that? The shoes themselves are lively enough to wake you up even on your sleepiest day of pregnancy. Pick from cupid, flowers, even kittens, where ever your imagination takes you, these shoes will be right there with you! Size: The company offers a fantastic shoe chart to ensure the best fit. Comfort: With no arch support or memory foam, these shoes only offer comfort in their width and proximity to the ground. If you need a bit more comfort you may want to search for some insoles. Quality: Many customers thought the glossy finish looked cheap. Pregnancy can be uncomfortable but your feet do not have to be. By searching for comfort and not exclusively for style, you can help make those nine months a little more enjoyable. Slip-on shoes may not be as fashionable as heels or shoes with buckles but they will give you the advantage of putting your shoes on without help through the entire pregnancy. At some point, seeing your feet will become a circus act and slip on shoes will be your new bestie! Your new baby bump will put you at a disadvantage balance wise, which is why shoes with terrific traction are a must to keep you from falling and to keep your bump safe too! Now more than ever is the time to choose comfort over fashion. Memory foam is like little mattress for your feet for all day long wear. Also look for rubber soles for shock absorption. Flat shoes may be cheap and easy to find but will not cradle your foot. By the end of the day, you will wish you had spent more money on shoes shaped to your foot. Getting a pair of pregnancy compression socks will make your shoes feel even more comfortable. Style is important but should take a backseat to comfort. If this is your first pregnancy you are not yet aware of how important keeping your feet cozy will be during those long nine months. Your feet hold up not just your body but the new life growing inside of you as well. That’s a lot of work, they deserve soothing shoes. Shoes shaped to your foot will cradle your foot will keep your feet not just comfortable but will help prevent back pain as well, as will arch support. Rubber soles will help with shock absorption for more support. Pointy toes can cause in-grown toenails so opt for shoes with rounded toes. Air flow will help with breathability for your feet to prevent sweating and discomfort. You can but do not wear them for long periods as the stress on your feet can cause back problems and increase swelling. Some women can wear all the shoes they already own will sporting a baby bump. Other women find their feet grow or widen or just need more comfortable shoes than their normal foot attire. Strappy shoes are perfectly fine during pregnancy but keep two things in mind. First, you may not be able to reach the straps to strap them by the end of the pregnancy. Second, feet tend to swell with a baby on board and straps may be uncomfortable or just not work. Buying cheap shoes is always an option on a budget, but try to find shoes that offer support and comfort. Flat shoes may be inexpensive but in the long run, you will pay with back pain and throbbing feet. No, not everyone’s feet grow. Just keep a pair of flip-flops around in case you need to run to the store for a larger size. Yes! Sneakers may be harder to tie by the end of the pregnancy but are still built for exercise and it’s recommended that pregnant women work out at least 30 minutes a day for their health and for the baby. Skechers Women’s You 14964 Sneakers are the best option for comfort and support for mom and her baby bump during pregnancy. Lightweight, breathable, and stylish is the way to go to rock your pregnancy. Adrina Palmer is a stay-at-home-mom to three wonderful children and a wife to an amazing husband. She has a bachelors degree in Religion from Liberty University and works as a blogger, copywriter, and reviewer. Adrina is a Christian hoping to help other stay-at-home moms find the joy and simplicity as a mother and wife. In her free time she enjoys many crafts, writing, spending time with family, and reading. She would love to hear from you! Thanks so much for the post. Really thank you! Great. Glad to help! Hope you have a wonderful pregnancy with happy feet!